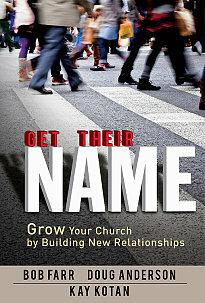 A colleague lent to me last June, Get Their Name: Grow Your Church by Building New Relationships authored by Bob Farr, Doug Anderson, and Kay Kotan. I’m just now getting around to reading it. I confess, because she’s asked for it back. It’s a fantastic little book offering practical steps to sharing faith, building healthy, spiritual relationships, and growing a healthy church. Once I read, “The average UMC (United Methodist Church) member invites someone to come to church once every 38 years,” I couldn’t put the book down. Middle School Evangelism is sharing life and faith through small groups with people you already know. Middle schoolers rarely step outside their comfort groups, but will do most anything in a small group. High School Evangelism is sharing your faith through testimony of recent experiences for the building up of the persons around you. You want to share your story where you are safe for the sole purposes of offering hope to those listening. College Evangelism is inviting others to worship who you do not know. In college, I recall inviting and being invited often to group gatherings and events on campus simply because we were within earshot. The authors go on to share that until we are confident in giving testimony, most are fearful of inviting others to church. And when was the last time that testimonies were shared in the worship setting or even in the Sunday school setting? It’s been my experience that we are more about taking in more general information and spitting it back out, r ather than learning how to tell our story or His story over the last week. I was challenged early in my walk that when asked “Why God?” my story can’t begin, “Well…when I was 10 years old…” My testimony should be no older than the bread in my breadbox. 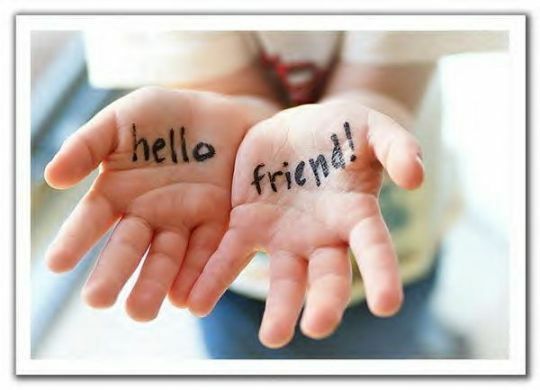 The challenge: Have I built in enough margin, extra white space, in my day to make a new friend? Or am I so caught up in going to the next thing that I can’t make time to be interested in new people; making sure to concentrate on the other person’s story; building trust in who they are; making sure my questions are about them; resisting making the conversation about me and my story? “97% of all newcomers to a church have had a major life transition in the last two months.” (From The Race to Reach Out by Douglas T Anderson & Michael J. Coyner) Everyone has a story. Little do we know what life transition will bring someone through the doors. Am I asking questions with genuine curiosity to learn another’s story? “The #1 roadblock for connected people inviting unconnected people to worship is that they are not confident in the guest experience.” This is where radical hospitality comes in. Where our hospitality is going beyond expectation, beyond the average, beyond what we’ve always done, beyond the typical Sunday morning handshake experience. “Guests arrive early or late, but rarely on time. 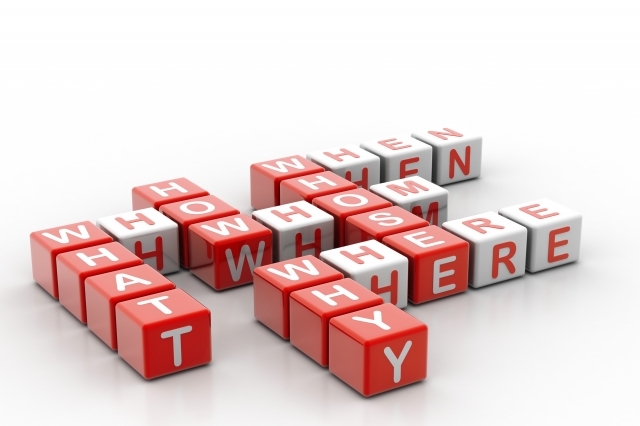 Be prepared.” Think guest, not a visitor (when was the last time I had a visitor in my home…never…I have guests). I’m going to start asking questions of the people I DO know at my church and the ones I DON’T. It’s the beginning of s haring testimony. And I’m ready to make some new friends in the Lord. Thanks, Cindy…you can have your book back now. 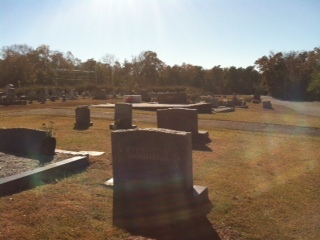 We have a cemetery on the front lawn of our church. I love it. I use it. I especially like having a patriarch of our church come to share with our tweeners and youth the stories and the “why” it is there. Mr. Jimmy then arrives to share the story of why the cemetery is there, why two brothers have the same name yet spell it differently, that there are 4 civil war veterans buried there, and why some tombstones are larger than others. Then….he asks if there are any questions. Their questions are honest, innocent, and so respectful of the burial process along with the whys of plants, markers, and rocks. 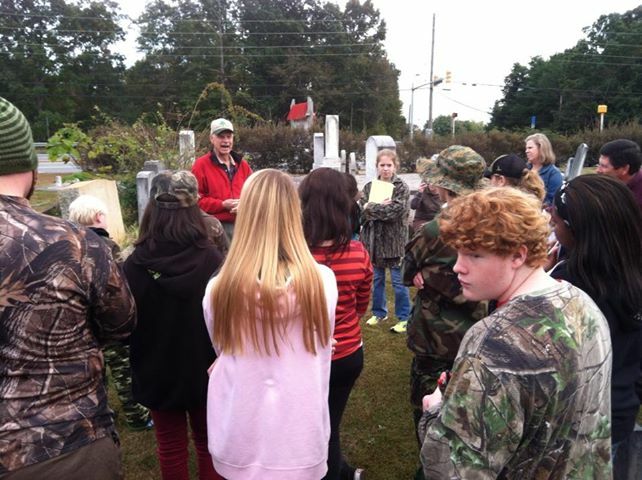 He shares that most young people don’t think about graveyards very much, but the older one gets, it becomes important. 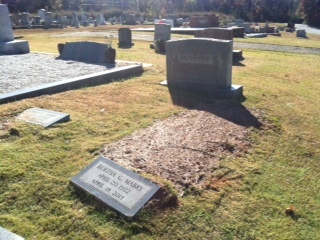 Before we are dismissed, we stand at the grave of the first youth director at Wesley Chapel. And I get to tell a few stories of my own as she passed away just this year in her nineties. Before we leave we let them know that we have what we have and enjoy what we enjoy in our church because of the conversations, prayers, and gifts of many in this cemetery. They planned and prepared for our current children’s ministry and youth ministry. A comment made by one of the tweeners, “I never even noticed the cemetery before, but now I like that it’s part of our campus. It’s filled with great people.” I couldn’t agree more.